Few weeks ago we saw how to add minerals in aquaponics. I had an eggplant also called “aubergine” showing a severe mineral deficiency. The leaves were not green but yellow/grey. It was obvious that this plant was not in good health… This plant was growing in an autopot system linked to a tank supply full of aquaponics water. It is very common to find mineral deficiencies in aquaponics as the system is insulated from the soil and therefore the worms have no access to the deep minerals. I am still surprised to see such deficiency in plants that are growing in a pot full of good compost hearth as it is generally high in minerals. The autopot system is offering to the plant all the benefits of classic pots gardening plus a constant irrigation with aquaponics water rich in nitrogen. The minerals availabilities are very complex and sometimes if you add to much of one mineral it can stop the assimilation of others. The idea is therefore to re-balance the minerals and making sure they are available for the plants. In this event I added some rockdust powder and chelated iron DTPA and hoped for the best. 3 weeks later it’s time to check the results of this addition… The result is clear, the plant leaves are nice green and healthy! It’s a real success! 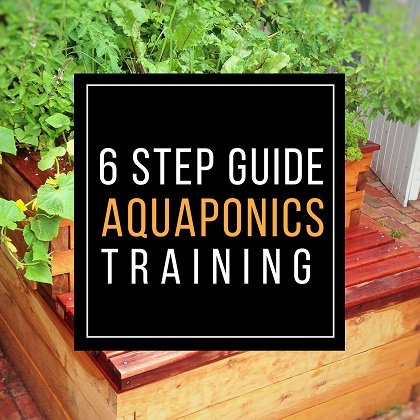 Also please don’t forget to get access to the free aquaponics training offered in this video description and also into the melbourneaquaponics website. What is happening to my plants? I got some plants that are not growing well, and in this video, we’re going to have a look at those plants and try to find out what is the issue. So I got this powder which is a rock dust powder, and you can see at the back it’s transparent. It’s just a powder of minerals, and it’s going to allow me to increase the quantity of minerals available for the plant. So hopefully, this plant will recover, thanks to those minerals. What is very interesting is that in the aquaponics garden behind me, the plants are growing quite well. They are nice green. I don’t see any real deficiency, but on the plants that are in the natural compost plus aquaponics water, those ones are not growing well, and that’s just crazy. I can’t understand why those ones there are not growing well because they use the same water as those ones. So if there are some minerals in this water, why the plants there are not able to use it is what I don’t understand. So sometimes when you got too much of one element, it can block the other elements. So it’s quite complex the way it works but if you got get too much of one mineral, sometimes it makes the others unavailable for the plants. That’s maybe what is happening. Maybe in the compost that I used for this plant, I got already too much of something, and it’s blocking the absorption of other minerals. So anyway, I’m going to add some of this powder in my aquaponics system, and we’re going to see in a few weeks if it’s growing better because I’m still going to use this water to supply the other pots, the auto pot system. I made a video about it, by the way. So we’re going to have a look how it works and how it goes in the next few weeks. So here we are with the auto pot system, right? So I got this auto pot system here, two pots on one setup and the bucket is at the back. The bucket here is filled with water from the aquaponics system. So where it’s very strange is that I got two pots. On one pot the plants are growing really well. They are green, no problem, but on the other pot, here I got some — how do we call it — some eggplants and the eggplants are not growing well at all. You can see, we can see some deficiencies here, different types of green and that’s definitely a sign of a kind of deficiency in some minerals. So you can see that this plant is not growing well but it’s not the only one. Underneath here, we got rock melon and this one is almost dead. This is just crazy because on the other side, I got the same plant growing in the same water but this plant is growing extremely well. So I’m going to change the quantity. I mean, I’m going to add some minerals here, some special rock dust, and we’re going to see how it goes. So we can see those type of dots. You know, it’s not even green anymore and you got holes in the leaf. I mean, the hole, they can be caterpillars but those that are whitish yellow-ish, they are really, really bad and they are everywhere especially on the old leaves. So the young leaves are much better. You can see this one. So here in the middle, it’s okay, but on the side you still have this type of chlorosis. So it’s quite yeah, it’s a problem for me. The old leaves are even worse. So chlorosis or deficiency in terms of minerals is something very usual in aquaponics but here what I can’t explain is why it is happening in this specific part where I would think that the plant has everything it needs to grow. And here we can see the rock melon leaf that is almost dead, the old one. The young ones are growing much better, but the old ones are not good at all. So there is a real issue. At the same time, I got some tomatoes that is growing in this pot. You see here, it’s growing here and it’s growing all right. The green is okay. So it’s not affecting all plants, but here we can see that the rock melon and the eggplant are extremely affected by this problem. While here in this setup which is supplied with the same water, in this aquaponics system, I got some extremely good tomatoes. They are growing really, really well. The plant is really performing growing well. So no problem at all on this side and I got a lot of tomato production. You see it’s growing okay. So no specific problem but also what is interesting is that the rock melon here, see the leaves? They are a nice green. So we can’t compare. They are nothing to do. They are quite well. So I can’t really understand but let’s put some minerals and see how it goes. So here I am going to add some minerals into the classic aquaponics system. So you see I got a little bottle and I’m going to fill it with water from the aquaponics system, and then I’m going to add some minerals. So the concentration to add is approximately 2 grams per 1000 liters of water, and then I’m also going to add some DTPA chelated iron. So same it’s a powder. It’s a chelated iron that you add and it’s going to really supply the system with iron. So I’m doing the same here in the auto pot. So you see this little bucket. It’s actually the tank of supply of the auto pot. So the water that is inside is already water from the aquaponics system, and here I’m just going to add some minerals directly here and I want to have a higher concentration because I know that the plant is highly deficient. So I add my minerals and I add my iron and once it’s done, I just mix everything so it’s going to supply the auto pot where the eggplant is growing. So hopefully, this addition of minerals is going to fix the issue that we have on the plant, but we have to wait for three weeks to make sure that that was the issue and that’s what we’re going to see right now. So I just close the cap to avoid to have any mosquitoes that spawn that spawn, and then we’re going to see in three weeks the result. So it has now been three weeks since I added some minerals and iron into the special aquaponics system auto pot that I showed you in the beginning of this video. So right now, we’re going to have a look at the plant and see if it became better, you know, if it became greener and see what is the real impact of the minerals in the aquaponics plant. So here we are a few weeks later. You can see that now the green of the leaf is completely different. I still have the old leaf underneath, and this is the old leaf. They have some serious deficiencies. We can see that they are not really white. They are gray yellowish while the new leaves are nice green, and I may increase the quantity of iron, but I think it’s much better than it was. We have the plant that is now growing well. So you can really see here the impact and the importance of adding some minerals into the nutrients of your aquaponics system. It makes a huge difference and then your plants are able to grow in good conditions and develop nice leaves and nice fruits. As I said, if you don’t add them in your system, in one way or another, you’re going to have some deficiencies because in aquaponics, the worms or the basically ecosystem, is insulated. So it’s not connected to the ground and therefore, they can’t go deep and get the minerals from the rocks. So here you can really see in this video. I’m very happy because we can really see the importance of adding minerals and especially the DTPA iron and also the impact that it can have in a few weeks in your plant. So I’m going to continue adding a bit of minerals in this because I can see that I still have some deficiencies on the old leaves. I don’t think the old leaves are going to recover anyway, but even on the transitional ones, the new ones are good, but the transitional ones, they are still deficient we see. Only the new ones are nice and green. So I will continue to add minerals because I had some very, very deep deficiencies here. So I’m very happy because here I can really show you the importance of adding minerals into aquaponics. So I hope you enjoyed these little tips, and it’s very important actually. If you don’t add any mineral, one time or another, you’re going to have some real issues in your aquaponics systems. So follow my recommendation. Add some minerals. So it can be rock dust, it can be egg shell, it can be sea shell, it can be a lot of different elements. You can buy some mineral elements from the shop and also the iron. Add the DTPA iron and also have a look at the free training in the description of this video where I give you a lot of information to be able to respect all the limits of aquaponics and knowing how to maintain it in the best conditions possible. Again, it’s in the description of the video just below, or in the ‘i’ like information in the corner of the video. If you are new to this channel and you are interested in aquaponics, you should subscribe to the channel because I give one tip every week so one video every week, and my aim is really to help you to build and maintain your aquaponics system to grow some sustainable, healthy, and tasty food in your own backyard. If you learned something, please give a like to the video and see you in the next one. Bye-bye.